Collision repairers shifted towards itemized paint materials invoicing this year, the latest “Who Pays for What?” survey reported Monday. 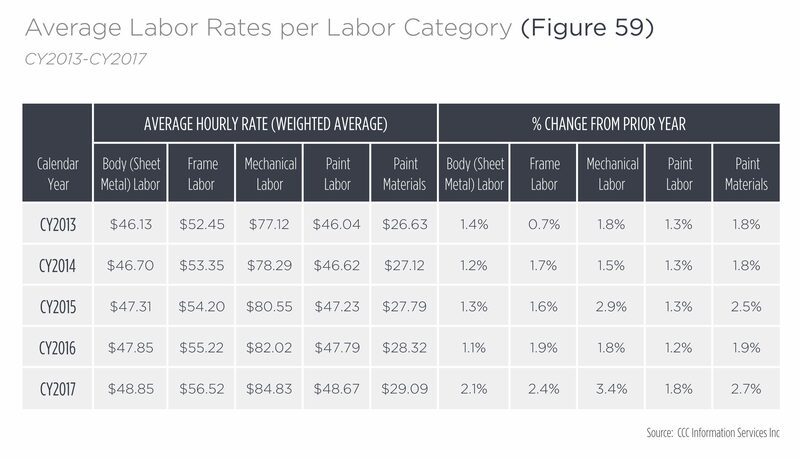 However, the majority of shops continued to use the “dollars-per-refinish-hour” method instead, study authors Collision Advice and CRASH Network wrote in a news release. About 23.4 percent of an unspecified number of responding shops during the Jan. 1-31 survey reported using a materials invoicing system, up from 19.1 percent in 2017 and 19 percent in 2016. A more than 4-percentage-point bump seems noteworthy, and Collision Advice CEO Mike Anderson wrote in the “Who Pays for What?” report he was “surprised but glad” to see it. 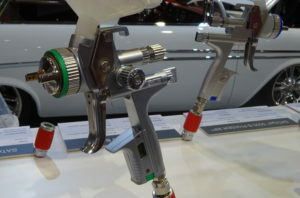 Materials invoicing systems bill for the precise quantity of substances consumed during refinishing the customer’s vehicle, rather than hoping that an arbitrary dollar amount multiplied by paint hours covers the costs and markup. It has been suggested that shops not invoicing are likely giving insurers or out-of-pocket customers free supplies, and the number of shops reporting that insurers refuse charges produced by a materials invoicing system suggests the hourly rate format favors the insurer. With the exception of Farmers, the percentage of Top 8 insurers paying “always” or “most of the time” when presented with a materials system invoice fell in 2018, though some of the declines might not be statistically significant. GEICO was least likely to pay “always” or “most of the time” when paint/materials invoicing shops asked, with repairers reporting a 47.3 percent success rate at those frequencies in 2018. The other carriers showed rates between 54 percent and 65.2 percent (USAA, down from 67 percent). Even if the shop’s not losing money or even coming out ahead, philosophically, the use of an imprecise paint/materials hourly rate does seem inexplicable in this day and age. Why should the shop want to make less than it actually spent in supplies (plus markup) when a means of calculating the actual material used exists? That’s bad business. Conversely, depending on the paint/materials rate, why should the customer or insurer pay for more than was actually used during the job (plus markup)? That’s not fair either. Paint company scales have boomed since 2016, rising from 25.2 percent of responding shops using them to invoice paint materials to 46.4 percent in 2018. However, the proportion of shops using Mitchell’s calculator fell from 45 percent in 2016 to 33.3 percent in 2018. The market for materials invoicing systems themselves seem to have consolidated, with the number of shops reporting using something other than Mitchell, a paint company scale, PaintEx or PMC Logic falling from 14.5 percent in 2016 to just 6.5 percent in 2018. The survey also asked how frequently shops are paid for numerous not-included refinishing operations, proving that “we don’t pay for that” is incorrect for the nation’s Top 8 insurers and disproving “you’re the only one asking” for shops in various regions of the country. Help the industry by taking the current “Who Pays for What?” survey on body labor operations here through April 30. All answers are kept confidential — data is published only in the aggregate — and participants receive a copy of the report. Collision Advance and CRASH Network encourage a shop to designate the person “most familiar with the shop’s billing practices and the payment practices of the largest national insurers” to complete the poll. Correction: An earlier version of this article contained an incorrect ending date for the 2018 “Who Pays for What?” survey on body labor operations. Polling ends April 30. The article has since been corrected to reflect this.